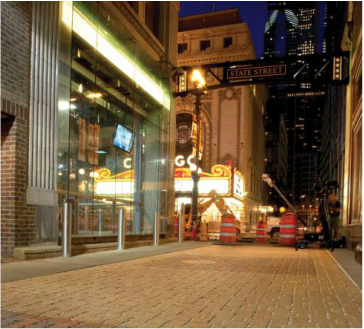 The power of concrete pavers is prominent in America's most recent innovative street designs. Following the first "shared street" project at Bell Street in Seattle completed last Spring, Argyle Street in Uptown, Chicago is the latest project challenging conventional street design in America through the "shared streets" approach. By eliminating curbs, creating a uniform street and sidewalk level, and reducing traffic speeds, pedestrians, cyclists and motorists must share space, encouraging communication and resulting in fewer collisions. 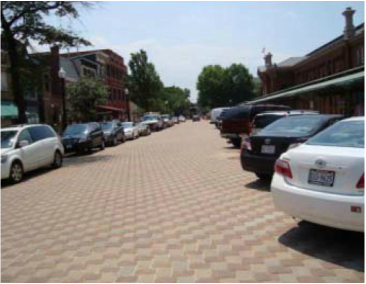 The Argyle Streetscape project utilizes different paver textures and colors to delineate areas for pedestrians, bikers and drivers, while also providing infiltration areas and design opportunities. PaveShare is excited to see this innovative use of pavers and will be tracking this project planned for completion later this year. 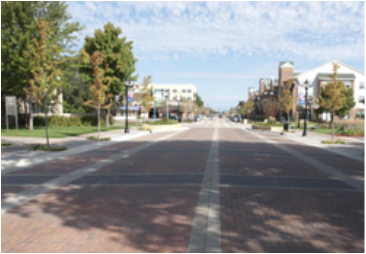 Learn more about the variety of paver elements in the Argyle Streetscape and similar projects here. 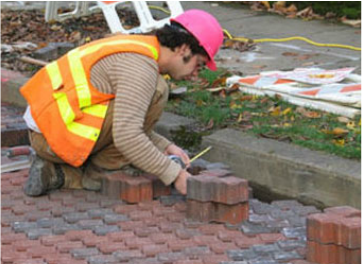 Ten years ago, Environmental Services of Portland, Oregon paved three blocks of streets in the Westmoreland neighborhood with permeable interlocking concrete pavement, the first use of this type of permeable paving material on a public street in the city. This project created 1,000 feet of permeable street surface, decreasing combined sewer overflows that occur during heavy precipitation events. Visit the Westmoreland Case Study site to explore block-by-block installation of the project, and great construction sequence photos. 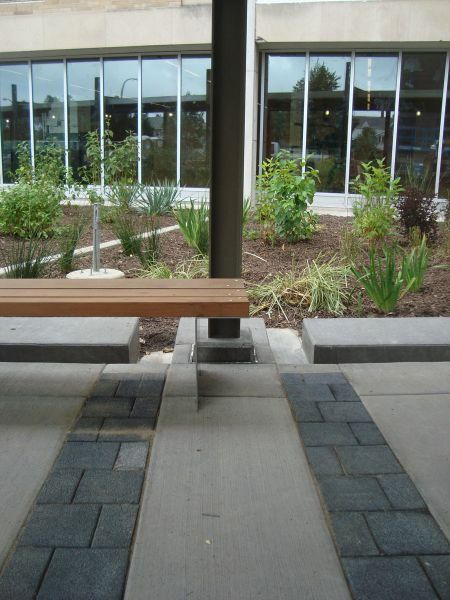 The factors to consider in selecting between standard interlocking concrete pavers (ICPs) and permeable interlocking concrete pavers (PICPs) in design projects can be overwhelming. 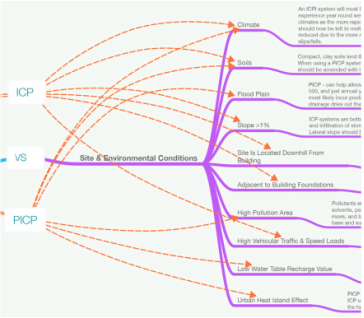 To help students make informed decisions about these systems, Paveshare has developed a graphic decision tree that details key considerations used to choose between ICPs and PICPs. Click the image to see the entire decision tree. Stuart Jones, a graduate from the Master of Landscape Architecture program the University of Georgia, is the winner of the Fall 2014 Scholarship Raffle. Jones submitted his presentation, "Ephemeral Placemaking," via PaveShare's contribute page. 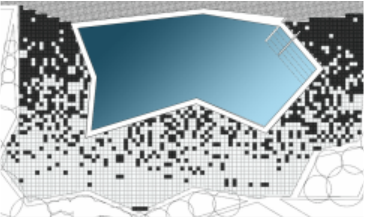 His submission discusses a variety of digital tools used to quickly generate intricate paving patterns for use as civic art, increased safety, placemaking, and wayfinding. Allen Pratt, a Master of Landscape Architecture Candidate at the University of Georgia, was the winner of the Fall 2013 Scholarship Raffle. 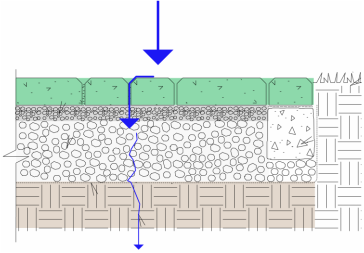 Mr. Pratt entered his presentation, "Permeable Pavement," via PaveShare's contribute page. 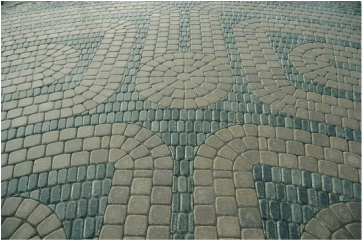 His work focuses on an overview of Permeable Interlocking Concrete Pavements, which ranges from permeable paver benefits, paver types, and construction documentation. For permeable pavers with aggregate in the joints, pressure washing is not recommended, but vacuuming is an effective means of maintenance. For large sites, specialized vacuums are available; most small sites can be maintained with a heavy-duty shop vac. Some aggregate will be removed in the course of maintenance vacuuming and will need to be replaced properly. In the following video, participants took part in a live demonstration of a vacuum sweeper - revitalizing an 8 year old UNI-ECOLOC permeable pavement (PICP). Precedent - 7th St. Washington, D.C. The 7th street Eastern Market corridor serves as both a vehicular passageway and pedestrian plaza. The Eastern Market is a public market in the Capitol Hill neighborhood. The market extends to the public plaza, made up of pavers, on weekends when street thoroughfare in front is closed to vehicular traffic. Tents are set up and local venders, farmers, etc. are able to sell their goods. It is the neighborhood's town center, and a gathering place.